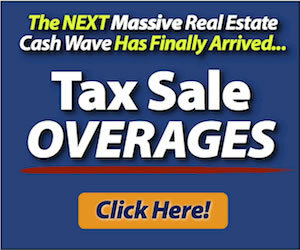 Every day I’m seeing record numbers of tax lien listings being announced all over the country. Take Park County, Colorado.Â It was recently reported in the “Fairplay Flume” newspaper that properties with delinquent taxes in Park County have risen by more than a third over last year.Â Tax lien listings this year showed over 1900Â properties, up fromÂ around 1400 last year. Here in my home state of Indiana, the trend also exists.Â The Kokomo Perspective reports that Howard County, a major rust-belt county in Indiana that once held thousands of auto manufacturing jobs, is in the same boat.Â More than 1200 parcels were expected to hit the tax lien listings section of the newspaper and shortly before the sale begins October 12, there are still over 739 parcels left on the list. While some conventional investors might salivate over the chance to attend an auction, bid on these liens, and wait out theÂ redemption periodÂ to obtain the properties at the sale, smart investors are looking over LAST YEAR’s sale to see which properties sold and have not yet been redeemed. They then contact those owners who are about to lose their property and pick up unwanted parcels for as little as $50.Â I showed how to do that in my article “Tax Lien Foreclosures â€“ The Mortgage Pre-Foreclosure Alternative”. In addition, investors wishing to acquire properties from this year’s sale recognize that 90-95% of radomnly selected, worthwhile properties will redeem.Â In order to maximize their chances of buying a lien that doesn’t redeem, these investors are busy sending postcards to the owners who are about to have liens auctioned next month. By purchasing only liens on which they received returned mail on their postcards, these investors have several times’ greater chance of getting a property. With the increases in volume we’re seeing, there is greater opportunity than ever to take advantage or either. 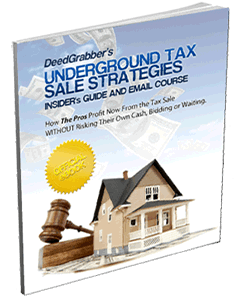 Yet with larger tax lien listings, you must work smarter. If you’re out there bidding at tax lien sales, have you seen larger and larger lists?Â Be sure to add your comments below.